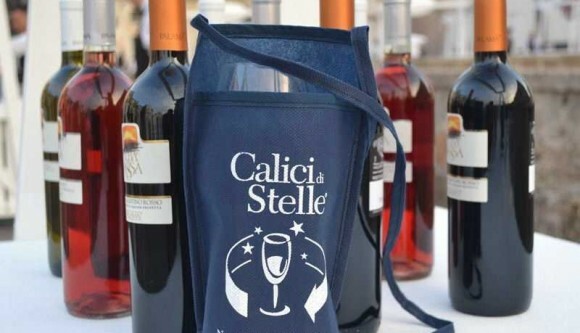 From August 4th to 10th the event Calici di Stelle will involve both wineries and locations all around Italy. Calici di Stelle in Cantine sees 16 wine cellars open their doors for evening tastings (view the list here), whereas with Calici di Stelle in Piazza the goblets of wine will be held under the Tuscan stars in some of the most beautiful squares of this magnificent region. Under a shower of Perseid meteors the squares will host wine tastings, exhibitions, busker shows and much more. In Milan at Expo 2015 the wineries will be the protagonists of the “Wine – A taste of Italy” pavilion. 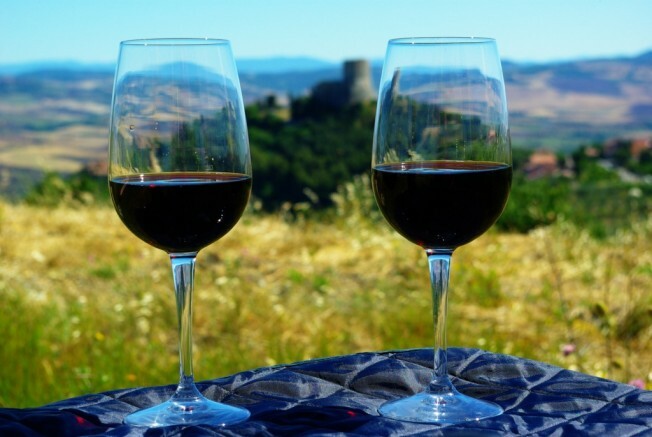 Kicking off is Empoli, on August 4th, which is holding a wine fair in the old town centre offering tastings under the professional supervision of sommeliers. Whereas nearby Carmignano will be hosting three days of events from August 8th to 10th, starting 8 pm and finishing midnight. The magnificent olive gardens of the Rocca di Carmignano will be the background of these three magical evenings, while watching the stars, sipping the excellent Carmignano wines and relishing savouries. Outside Pisa, the Etruscan town of Terriccola has organized a local wine tasting – jazz concert – stargazing evening starting from 7 pm. 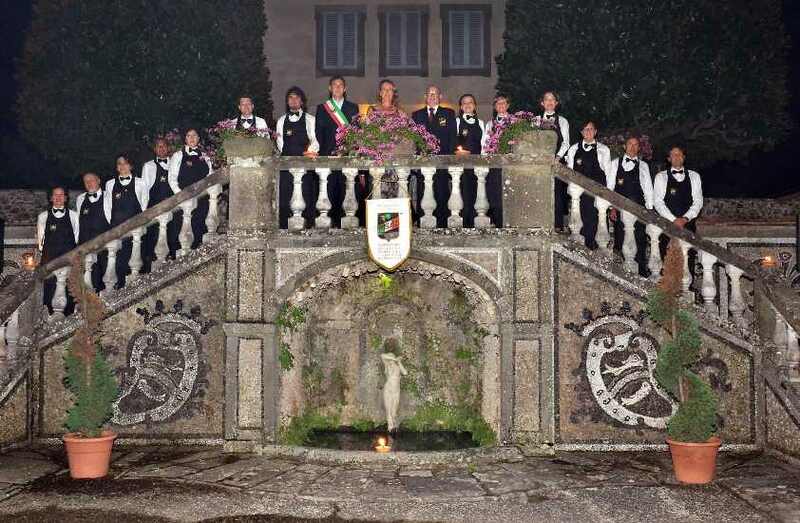 Near Lucca, instead, Capannori is hosting in Villa Lazzareschi, on August 8th and 9th, wine tastings of wineries belonging to the Wine and Olive Oil Trail of Lucca, Montecarlo and Versilia. It will also be possible to take a hot-air balloon flight and discuss the stars with the director of the local Astronomical Observatory. On August 9th, Colle Val d’Elsa, the “Crystal town” near Siena, will be holding wine and local food tastings in the cathedral square and the museums will all be open for the event. 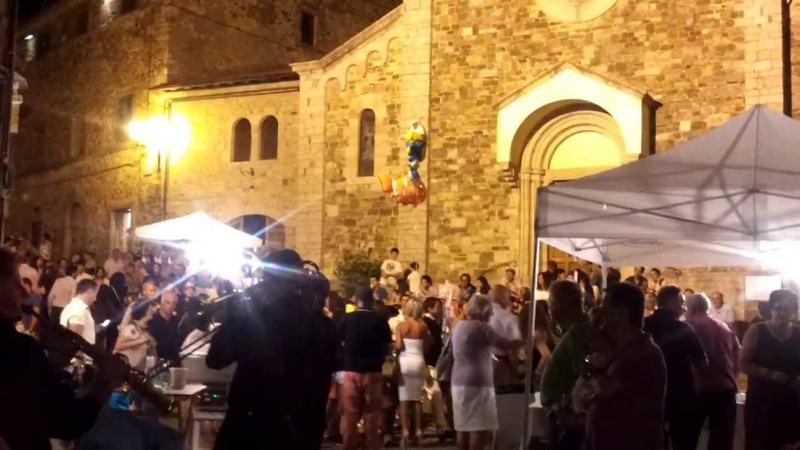 Further east in Chiantishire, Castellina in Chianti is hosting a handicraft market from the morning, while at 6 pm local food and wine stalls will open, while the Archaeological Museum will be open during the evening and on the main walls amateur astronomers will guide stargazers. On the same evening, nearby Gaiole in Chianti’s town centre will be invaded by Chianti wine stalls, local dishes and music. 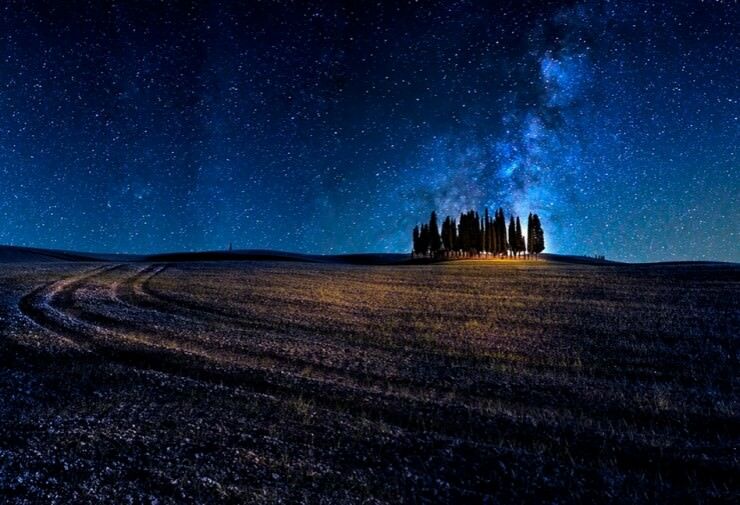 Down south, the The Montecucco Wine and Amiata Flavour Trails are organizing in Castel del Piano (Grosseto) wine, cheese, olive oil and bread tastings together with shows and stargazing. On August 10th, la notte di San Lorenzo – the night of St Lawrence as is known the night of shooting stars here in Italy, and around which this event has been created, there are dozens of events on the plate. For instance down south, Capalbio, near Orbetello, has organized a guided tour of the old town centre on August 10th followed by the showing of a film in the main square. Further inland, on the same evening Cinigiano is hosting a dinner under the stars along the streets of town, wine tastings and music starting at 8 pm. Monteregio Doc and Maremma Doc will be the protagonists of this evening in Massa Marittima’s old town centre. 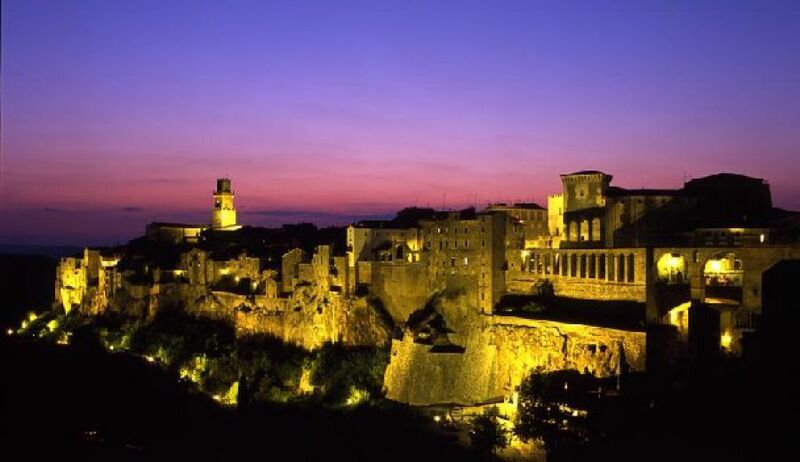 The magnificent tuff town of Pitigliano will have a wine tasting route along the streets, with each wine paired to a local dish. 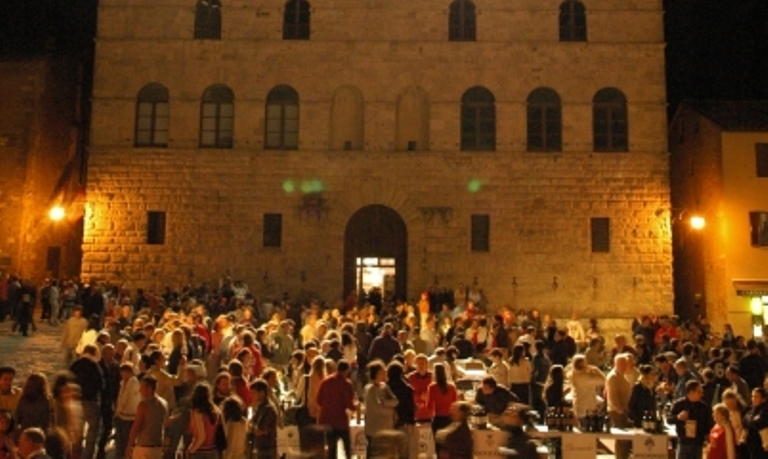 Siena is celebrating the stars with local wineries and amateur astronomers. Concerts will be around town and it will also be possible to visit romantic sights by night such as the Torre del Mangia. The same in Poggibonsi, be-towered San Gimignano and the spa town of Rapolano Terme. Delicious Orcia DOC wine will be filling the goblets in Castiglione d’Orcia. With the breathtaking backdrop of the Valle d’Orcia, from 6 pm the streets, squares and fortress of this lovely town will be full of wine stalls, travelling singers, exhibitions and much more, promising an unforgettable evening under the stars. Montepulciano, instead, offers on August 10th an evening in the company of great red wines such as the Nobile di Montepulciano Docg and the Rosso di Montepulciano Doc. Piazza Grande will be the unquestioned city heart with 50 wineries offering wine tastings and other stalls typical local dishes. Outside the square, the surrounding streets will be animated with the Antiques and Art Market, live concerts and the flag waving and drumming show. Over in Arezzo the lovely Villa Severi acts as backdrop to the Arezzo Wine Trail food and wine event with over 100 wine labels to taste as well as Tuscan cigars to try. Live music and stargazing tops the evening. In the Chianti area, Calici di Stelle in Piazza will be held at Montespertoli where the main square will be crammed with chairs and tables and obviously many glasses, in Leonardo’s hometown, Vinci, and in Tavarnelle Val di Pesa. 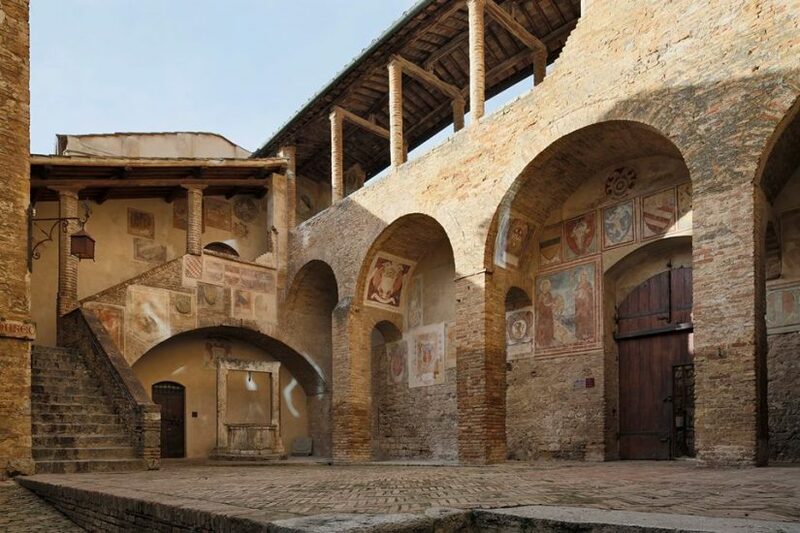 Down near the Etruscan Coast, Suvereto is re-creating an elegant and romantic living room in the old town centre where visitors can enjoy a glass of wine and watch the stars amongst the medieval walls. Nearby another lovely medieval pearl, Campiglia Marittima, will be offering tastings of the wines of the Val di Cornia together with local choice dishes. Live music will fill the tiny, steep streets. Calici di Stelle, the opportunity to raise our glasses to the stars. Questa voce è stata pubblicata in Arezzo, Chianti, Events in Tuscany, Siena, Tuscan food and wine, Tuscan wineries, Tuscany, Valdorcia Val d'Orcia e contrassegnata con Calici di Stelle in Cantine, Calici di Stelle in Piazza, Chianti wine, Expo 2015, Strada dei Vini di Carmignano e dei Sapori tipici Pratesi, Strada del Vino Chianti Montespertoli, Strada del Vino e dell’Olio Chianti Classico, Strada del Vino e dell’Olio Lucca Montecarlo e Versilia, Strada del Vino Montecucco e dei Sapori d’Amiata, Strada del Vino Orcia, Strade del Vino Terre di Arezzo. Contrassegna il permalink.